Oddly enough, I’m not a big fan of the Belgian waffle, the extreme version of one of my favorite breakfast foods that is served in too many chain family restaurants. I can never finish a whole one in a sitting, and the soggy mess that’s left in a take out box doesn’t appeal to me. 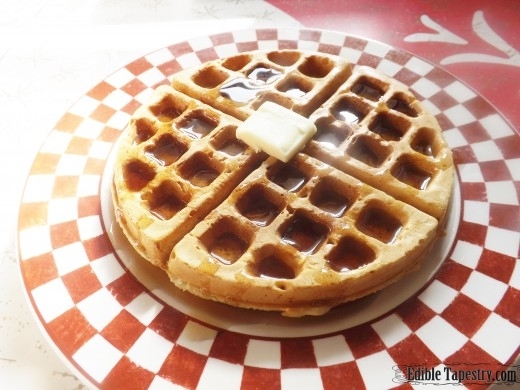 What I do adore is a lofty, eggy, light and fluffy waffle, crisped right off a standard hot waffle iron; crunchy on the outside, soft and fluffy on the inside. Get ’em while they’re hot! waffles that I serve up one at a time to my family members before the moisture in the air has a chance to undermine the effort I’ve put into cooking up each one to perfection. I HEART waffles and I HEART my husband and sons so much that I spaz about them getting downstairs in time to catch their own waffle as it comes off the iron just right. “Okay. I guess this one’s mine!”, never fails to produce the sound of footsteps on the staircase that stands in the center of this old wooden farmhouse, as I hover over the waffle iron, snickering to myself. 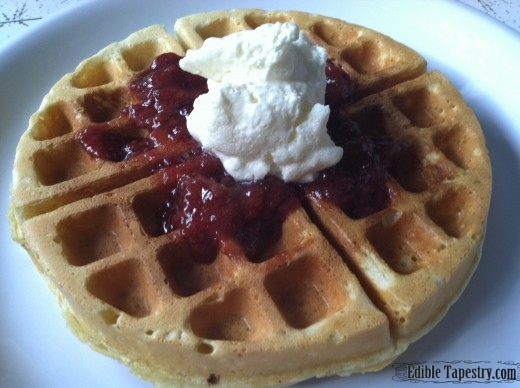 My obsession with the fluffy waffle first began in a little village on the North Shore of Oahu, the last week my husband and I spent of our 4 years on the island. We had a bucket list of things we wanted to do before we left Oahu, years before a bucket list was even a thing. 1. Stop at that touristy souvenir stand that was usually set up on the side of the road in Haleiwa Town to buy my little brother, who was 13 at the time, a shark in a jar. You heard that right. A real baby shark preserved in a jar, floating around in some kind of fluid. 3. Take a final snorkeling trip around Shark’s Cove, also on the North Shore. 4. Watch one more sunset from Sunset Beach, just up the road from Shark’s Cove. Something I didn’t know would be possible from the comfort of my living room chair a few decades later, thanks to the Sunset HD Cam. 6. Take our favorite catamaran charter out into Waikiki Bay. While we were in Haleiwa knocking off the first four things on our list, which we had to begin very early in the morning to accomplish, we stopped at a brand new coffee roasters and cafe that served organic foods and plantation grown coffee. We both ordered a waffle with berry topping, no syrup. 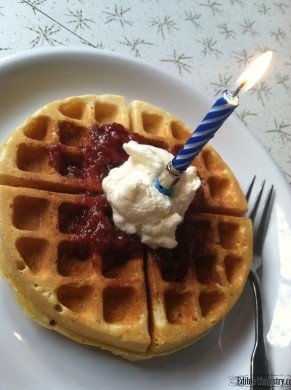 I marveled at the time, and still do, how those waffles could be so light and crisp. I’ve never been able to duplicate them. But this recipe, one I created a while ago, on the morning of my son’s 16th birthday, comes pretty close. 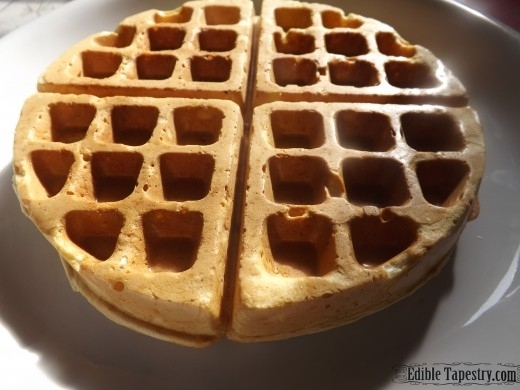 What makes them fluffy, just the way I like my waffles, is a high quality waffle iron and the stiff egg whites I fold in to the batter just before I spread it on the waffle griddle to bake the first one. 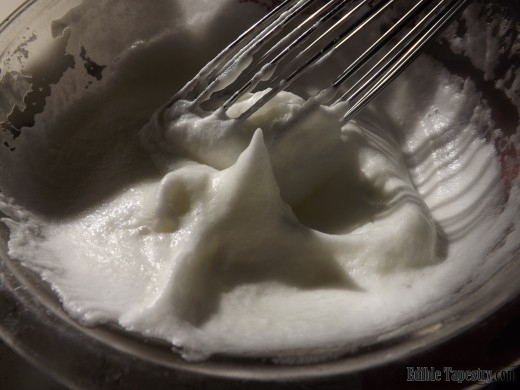 The egg whites really do a great job of getting the outside firm and crunchy. 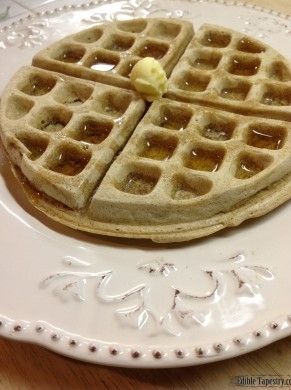 For everyday eating, school days when I want to treat my kids but don’t want them jacked up on a lot of toxic white flour and sugar, I substitute whole wheat flour in the recipe and serve their waffles with lightly cooked berries, just simmered long enough in a little water to soften them up, or pure maple syrup. 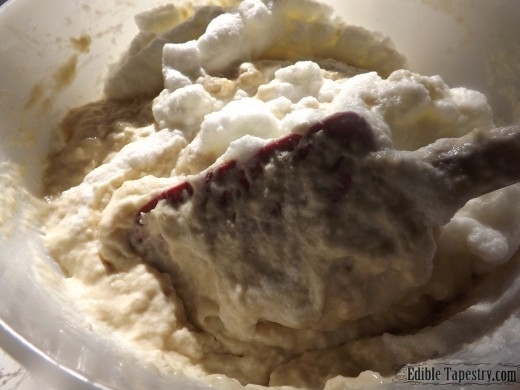 The birthday boy, who often forgoes the syrup and butter the rest of us like on our waffles, was given freshly whipped cream and strawberries on his, the first time I used my newly developed recipe to make them. 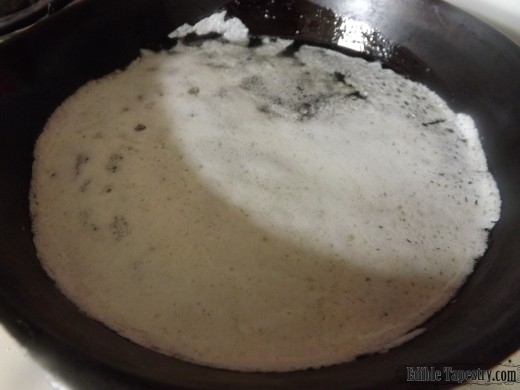 And when we want “diner breakfast” some weekends, but not always at diner prices, I make the standard toxic, white flour/white sugar/sickly sweet and sticky pancake syrup version… Oh, yum! Why is it that the best tasting things are usually the artery damaging, potentially cancer and Alzheimer’s inducing, diabetes causing worst things for us to put in our mouths?! Ugh. 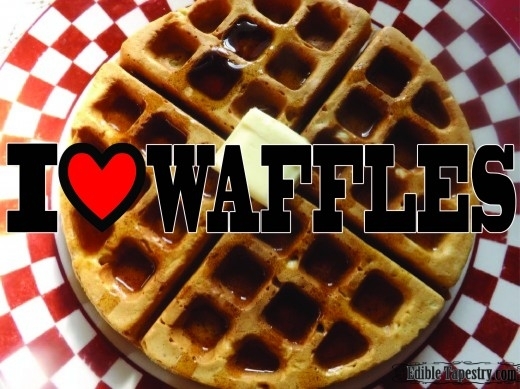 Such a shame because I ♥ WAFFLES and will be cooking them for my family for breakfast tomorrow on Valentine’s morning, with all the love I can muster. 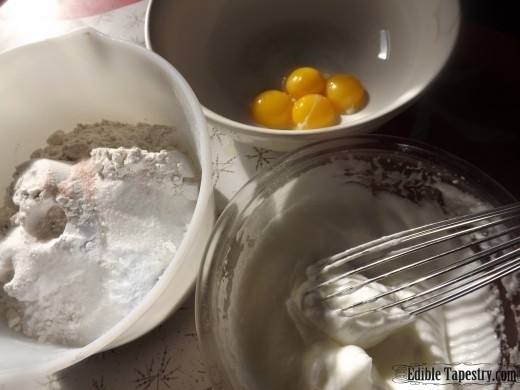 Beat together the egg yolks, milk, vanilla and vinegar. 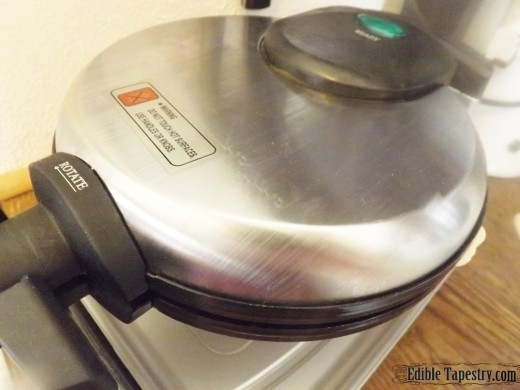 Preheat your waffle iron to get it good and hot before your batter is ready. 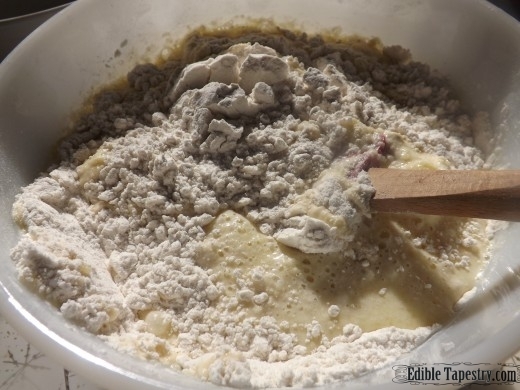 Fold the wet ingredients into the dry, just until the dry are completely moistened. 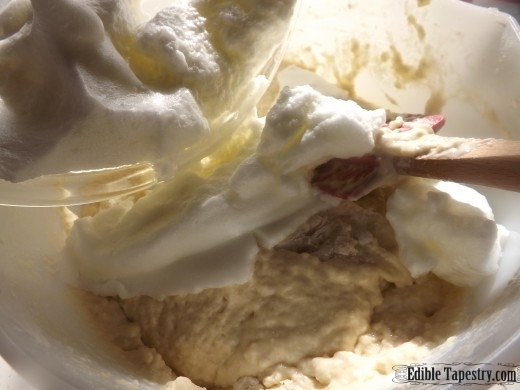 Gently fold in the egg whites to make a light batter. 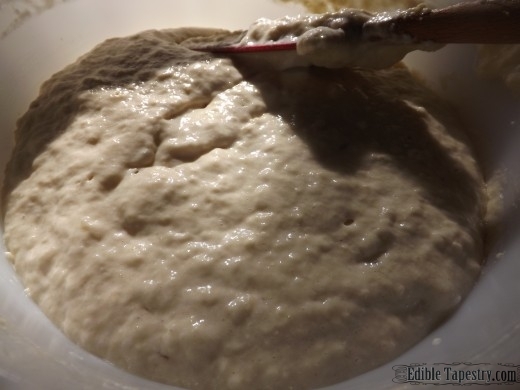 Do not stir or beat. 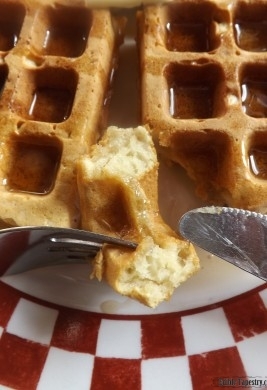 You want air from the egg whites in the batter so the waffles will puff on the inside, but get nice and crispy on the outside. 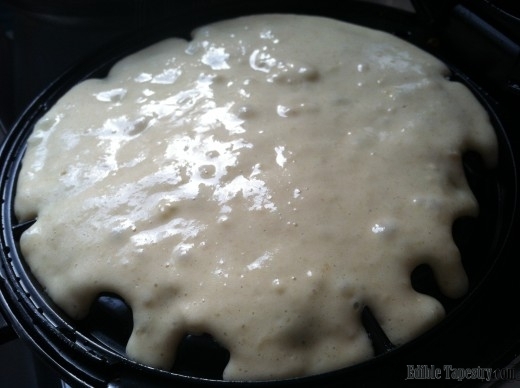 Spread just enough batter on the waffle iron griddle to cover it. Cook according to your unit’s instructions. 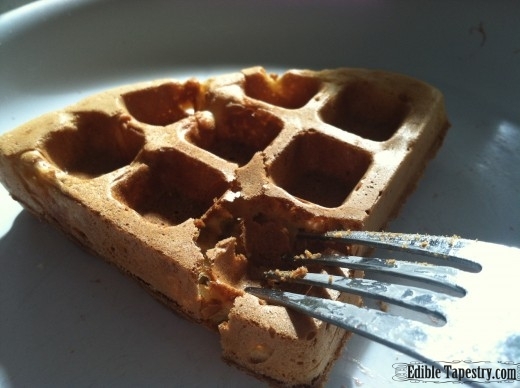 If you are as obsessed about the outside of each waffle maintaining its just-off-the-iron crispness as I am, serve them as soon as they come off, rather than stacking them and carrying them to the breakfast table to serve at once. 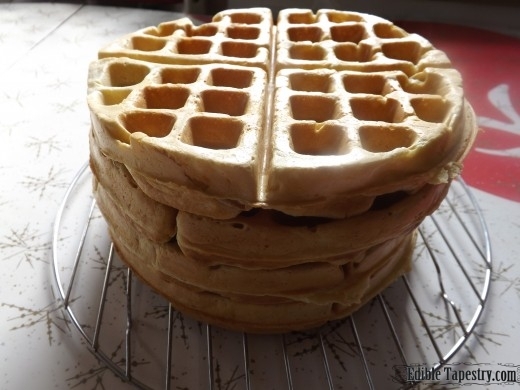 The waffles from this recipe freeze and warm in the toaster very well, so I often double the batch so I can have them ready in the freezer for DIY, self-serve breakfasts for my family. 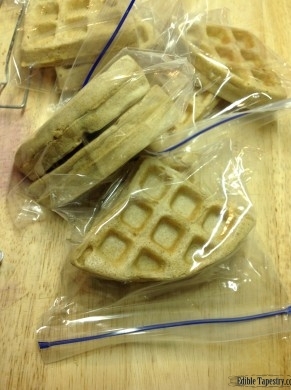 My iron makes small enough waffles that they fit in the toaster oven, whole, but so that they will fit in our vertical toaster, I break them in quarters before freezing them. That way we don’t have to eat an entire waffle each time we want them. Sometimes a quarter of a whole wheat waffle is just right with a little pure maple syrup when splurging is not on the agenda. * Sadly, the Aoki Shave Ice shop was demolished in 2013. You can follow the devastating story of the family-owned shop’s last days on the Aoki’s Shave Ice Facebook page. **And I’m just heartbroken to learn that The Islander Coffee House has also closed since we left the island. Time marches on… I did, however, find a great picture of the diner on Travel Journals Retro-blog.